Red mulberry grows in deep rich soils of stream and creek bottoms and moist woods in the eastern two thirds of the state. 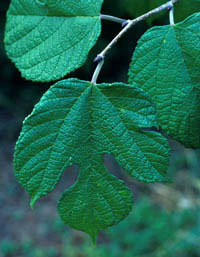 It is less drought-resistant than Texas mulberry, and not as tolerant of poor, thin soils. The one-inch long fuits are red ripening to purple, sweet, and relished by birds. Since male and female mulberry flowers occur on different trees, it is best to avoid planting female trees where the juicy fruit and related bird droppings will be a problem. Its large leaves are 3 to 5 inches long, rough on top and hairy below. Red mulberry can tolerate different soils as long as they are fairly moist but well-drained. 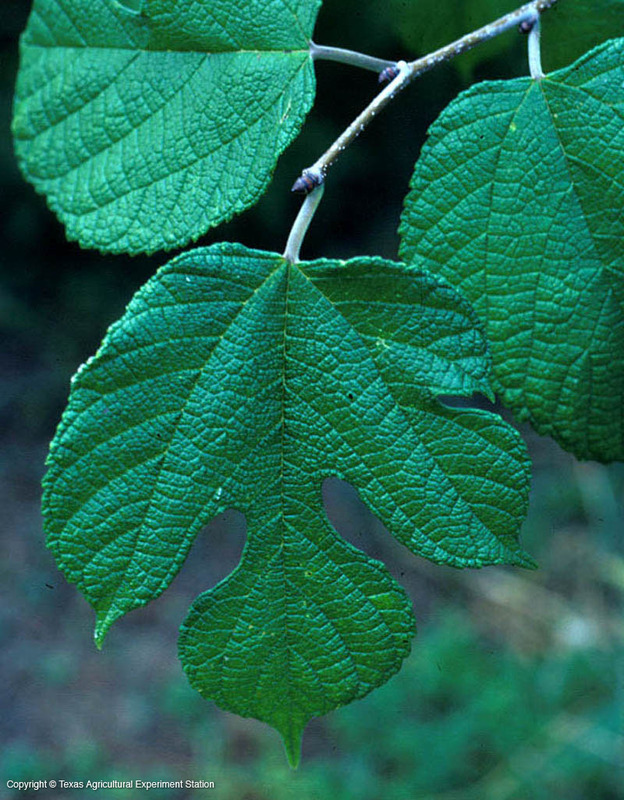 Width: 25 to 35 ft.
Additional Comments: A red mulberry that grows in the Lampasas Cut Plains has leaves that are glossy on top and white and fuzzy underneath, with large fruit.